eCeyPay provides Merchants in the Sri Lanka with uncomplicated and reliable online payment solutions that include online invoicing for customers who are within hotel and leisure industry sector to receive online payments through their websites or Social Media Accounts, or even without having any online present. We also offer E-commerce plugins for merchants and for travel and leisure sector online service providers who sell their services through online medium. 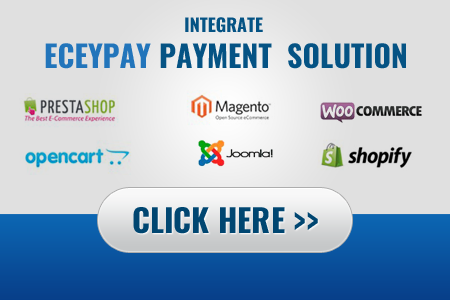 eCeyPay team is more than happy to integrate our payment gateway solution to your own website to receive payments instantly. We have affordable pricing structure for our integration service, which will enable your clients to checkout & process card payments without leaving your website. Your integration process will be huddled by our own payment gateway experts and we will make sure to complete integration process quickly as possible. By having online checkout process, you will improve your customer ecommerce experience & also will help to increase your sales conversion rate. Even though you have automated payment processing system through your website, still you will have option to receive payments through manual eCeyPay invoice-pay solution as well. Our developers are capable of integrating eCeylon Payment solution to most popular type of websites developed in any ecommerce software frameworks or CMS platforms in the current market without an issue. If you wish to integrate eCeyPay payment solution, simply fill our third-party integration form and request for a quotation. If you have any further clarifications feel free to call us on our eCeyPay Hotline to speak to our online payment gateway specialist.